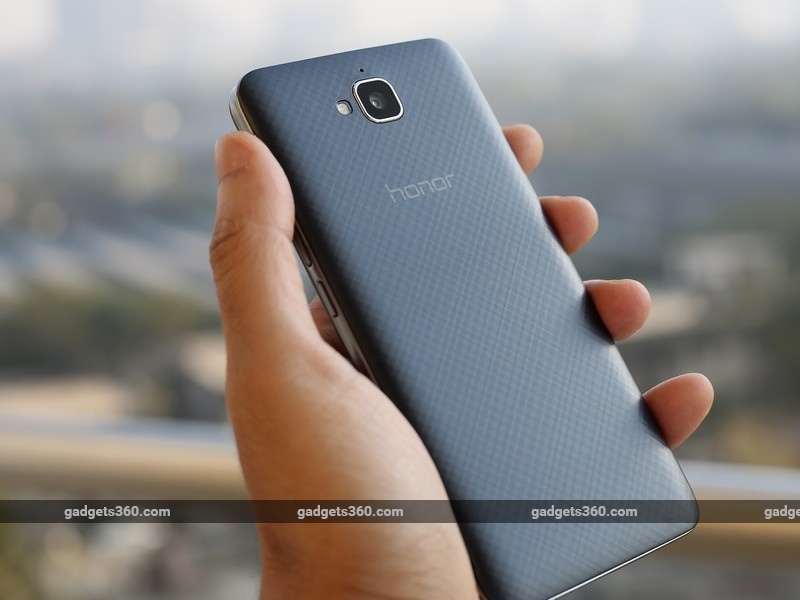 Honor recently added two new smartphones to its roster, the Honor 5X (Review | Pictures) and the Holly 2 Plus, to counter aggressive moves by Lenovo and new entrants like Coolpad and LeEco. The Holly 2 Plus will replace the older Honor Holly (Review), which launched in 2014 and will compete with offerings such as the Coopad Note 3 (Review | Pictures) and Intex Cloud Flash (Review | Pictures), which are some of the better options in this price segment. Honor will open the retail gates from February 15, when the phone will go on sale at Rs. 8,499. Let's find out if the features and performance are aggressive enough to rival the competition. The Holly 2 Plus has gotten tiny bit fatter and heavier compared to its predecessor but other than that, it is pretty similar in terms of proportions. The rounded top and bottom of the older model have given way to a more traditional candy bar design. The plastic body has undergone a special treatment to give it a metallic look, which it pulls off well. The overall look is quite understated and yet, the phone feels well put together. The front bears a 5-inch HD IPS display which has decent colour reproduction and viewing angles. Fingerprints are a real nightmare though, due to the lack of an oleophobic coating. The display gets washed out a bit under direct sunlight. Also, there's no scratch protection for the glass, which is a shame. To compensate a bit, the company is offering a one-month screen replacement warranty. There's good amount of space at the top and bottom to comfortably grip the phone when using it in landscape mode. 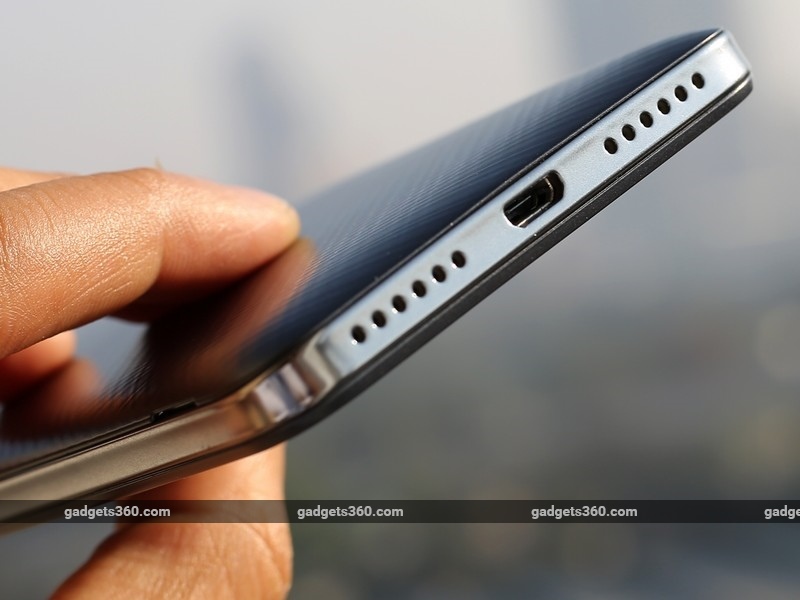 On the top, we have the notification LED, earpiece, and the 5-megapixel front camera. We like the placement and tactile feedback of the power and volume buttons on the right side. There are grilles on either side of the Micro-USB port at the bottom, but the actual speaker is a mono one, to the left of the port. The headphones socket is on the top of the phone. The back cover is textured which lends to the aesthetics and grip. 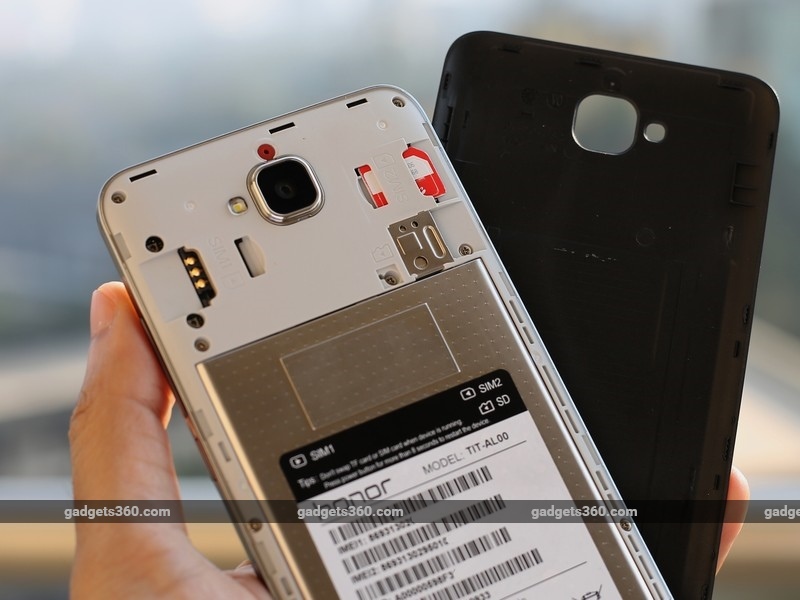 Underneath, you'll find the non-removable 4000mAh battery, two Micro-SIM slots, and a microSD card slot. The rear camera has been bumped up to a 13-megapixel sensor from the previous model and we also have the mandatory LED flash. Our review unit came devoid of any retail packaging or accessories, but you can expect a charger and a manual inside the box. The phone does support Qualcomm's Quick Charge and will ship with a 5V/2A adapter. Coming to the specifications, we have a quad-core MediaTek MT6735P SoC and 2GB of RAM. This SoC packs in the same ARM Cortex-A53 CPU cores and Mali-T720 GPU as the regular MT6735, just a bit slower. Rounding off the specs list, we have 16GB of storage which can be expanded by 128GB, Bluetooth 4.0, Wi-Fi b/g/n/, FM radio and GPS. The phone also supports reverse charging, which lets you charge other phones via an OTG cable. You need to toggle this option in the battery settings, and it works just fine Having said that, the phone doesn't support USB-OTG pen drives, which is a bit odd considering most Android smartphones do these days. 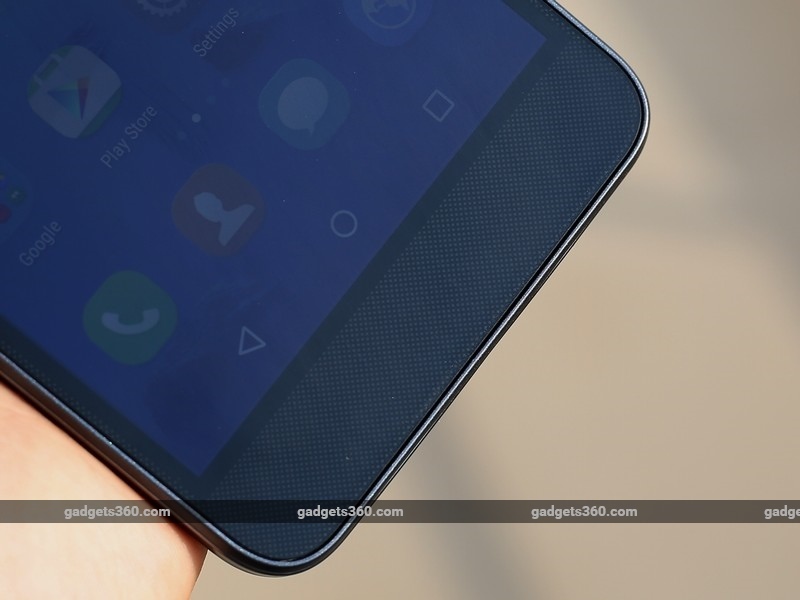 The Honor Holly 2 Plus ships with Android 5.1 and the EMUI 3.1 custom skin running on top. 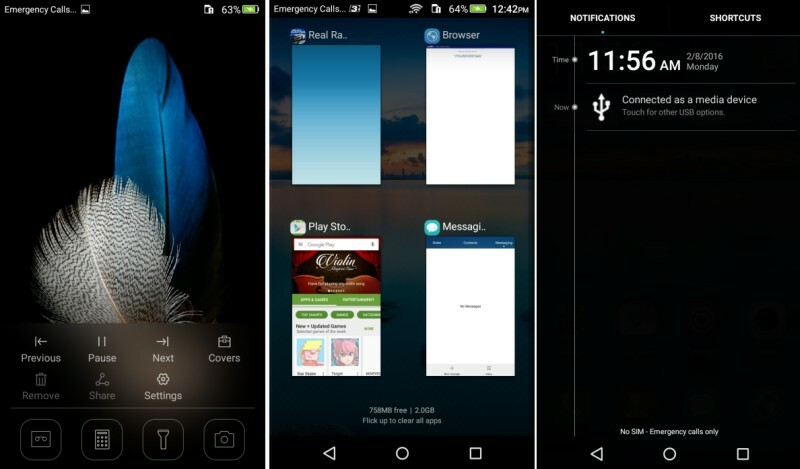 The customisations affect much of the stock functionality of Android, which can take some getting used to. The default lockscreen is a magazine-style layout with wallpapers that change each time you unlock the screen. You can opt for a standard lockscreen from the settings app. Recent apps are shown as individual cards instead of being vertically stacked. The launcher is single-layered with a bunch of transition effects to choose from. The dropdown shade is split into notifications and settings shortcuts. The Settings app gets some new additions too including Protected apps, which lets you select which apps can run when the screen is off; Emergency Services for sending your coordinates to selected contacts in case of an emergency; Motion control actions which lets you flip the phone to mute an incoming call, and an option to change the navigation button layout. Honor also bundles some first-party and third-party apps, most of which can be uninstalled if you want. HiCare lists out the nearest service centre; Themes lets you change the look of the phone; Phone Manager lets you free up resources, clean junk files and manage data traffic; and AppGallery is another app store. You also get apps like UC Browser, Facebook, Instagram, Clean Master, and WPS Office pre-installed. Despite the heavy skinning, general performance is smooth. On average, you have about 1.2GB of free RAM available, which shows good optimisation on Honor's part. The phone works well with 4G on Band 40 and barely heats up during regular usage. We did face an annoying issue while using the MTP mode for transferring files. Windows simply refused to detect the phone at first and only worked after we tried several times. 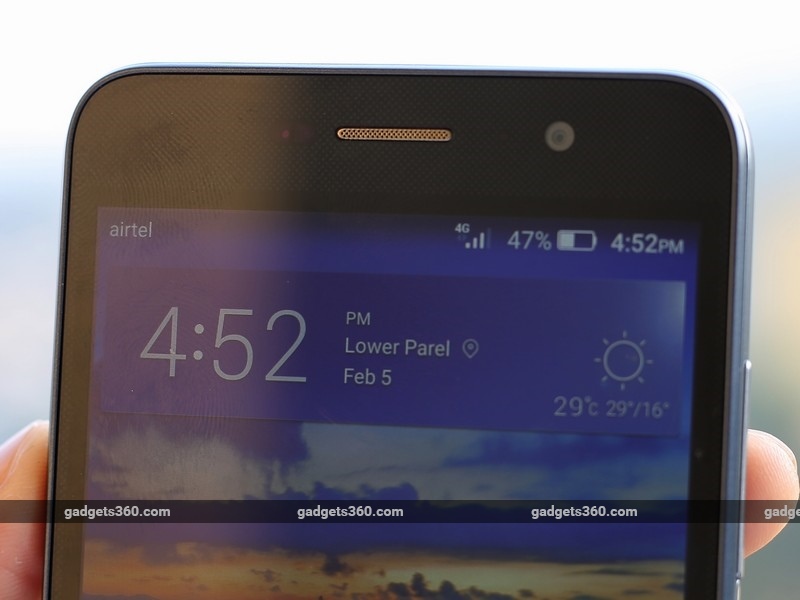 The Honor Holly 2 Plus performed as expected in benchmarks. In AnTuTu, we got a score of 33,586, while 3DMark Ice Storm returned 5,634 points. These aren't great numbers compared to what some other low-cost phones can put out, but they're enough to mean you can comfortably play demanding games like Real Racing 3. Multitasking can get a bit sluggish, even if you don't have heavy apps running in the background. Coming to multimedia performance, the default music player app is well designed but lacks any form of equalizer settings. It can display lyrics provided the song has thtem embedded. The video player has the ability to run as a small floating window, and supports up to 1080p resolutions. The bottom speaker is quite loud for outdoor use but its clarity isn't great. Things are better with headphones but then that's almost always the case. 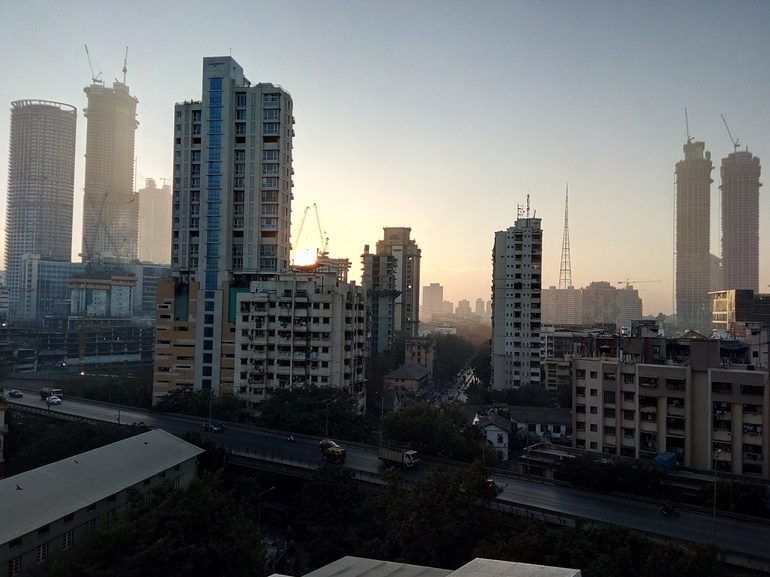 The rear 13-megapixel camera manages some pretty good-looking landscapes in daylight, however, the picture appears very grainy once you zoom in. Also, we found the colours to be very muted and dull. Close-up shots fare a little better but not by much. 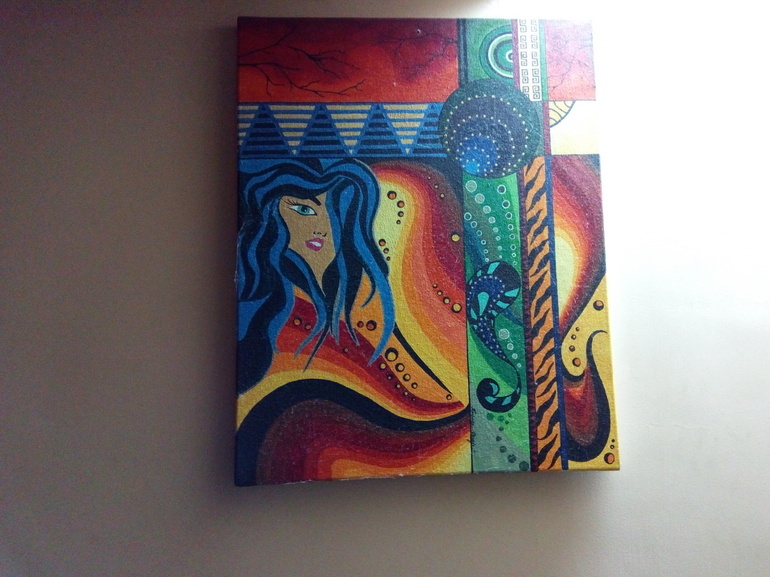 It's the same story for indoor and low-light shots. The quality of recorded video is decent and there's software stabilisation too. However, the maximum resolution supported is only 720p, which is once again, a bit of a letdown. You do get tap-to-focus while recording. The camera app has all the basic functions you'd expect. There aren't many shooting modes other than standard ones like HDR, Panorama, Watermark (adds a date and location at the bottom) and Audio note. You do get burst mode and the ability to snap a picture by saying 'Cheese'. Beauty mode is present for both cameras and you can set the app to automatically snap a picture once it detects the preset number of faces. All of this works quite well. The front camera manages decent selfies under daylight conditions, but gets the picture gets noisy indoors. The battery lasted us 11 hours and 43 minutes in our video loop test, which is quite good. During regular usage, we easily managed to go more than a day before having to charge. Fast charging is supported and even though we didn't have the bundled adapter to test this, we managed to get up to 40 percent charge in half an hour with a similar 5V/2A charger. You also get an Ultra Power Saving mode which shuts off all background process and leaves you with only basic functions like calling and SMS, if you're really low on battery. 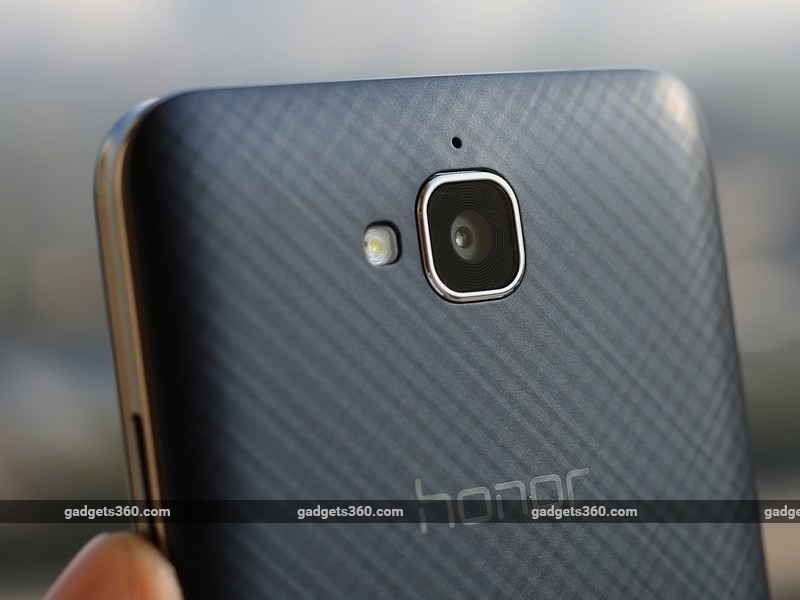 The Honor Holly 2 Plus ends up being a bigger compromise that we had expected. Its good build and decently long battery life aside, everything else feels a bit amiss. We don't expect the world at Rs. 8,499 but little things that we should take for granted like a scratch resistant layer for the display, USB OTG, or even full-HD video recording, are sadly lacking and are features which phones such as the Coolpad Note 3 and even the Intex Cloud Flash offer. The Holly 2 Plus fails to impress us as we currently have better offerings, both, in terms specifications and real-world performance, at the same price or lower. product The Honor Holly 2 Plus delivers strong battery life and is well built, but misses the mark on everything else.